Dear Members, we will not be mailing out paper forms this year, so everything will happen on line. Even if you purchased a membership with a paper form last year, you were given an online account to access readings. You can log in to this account and choose the "join" option from the left and choose to pay with PayPal or mail in a check. Please contact aliciacolemanphd@gmail.com if you require assistance accessing your account. Memberships follow an academic calendar and expire on September 15 each year. DSPP Associate Membership - Trainee $40.00 for one year Post-doctoral trainees and students, LPC-I, and all of those clinicians who are unlicensed and still in training--whether still enrolled in classes or not. $10 Donation to Arts Committee . $25 Donation to Arts Committee . $50 Donation to Arts Committee . $25 Donation to Judith Samson DSPP Student Scholars Program Scholarship . Donations made to this scholarship fund will enable DSPP to award selected students who give a presentation at the Division 39 Spring meeting up to $1,500 to cover the expenses of attendance. $50 Donation to Judith Samson DSPP Student Scholars Program Scholarship . Donations made to this scholarship fund will enable DSPP to award selected students who give a presentation at the Division 39 Spring meeting up to $1,500 to cover the expenses of attendance. 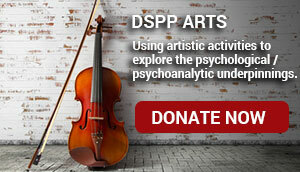 $25 Donation to Laurel Wagner DSPP Early Career Clinician Scholars Program Scholarship . Donations made to this scholarship fund will enable DSPP to award selected early career clinicians who give a presentation at the Division 39 Spring meeting up to $500 to cover the expenses of attendance. $50 Donation to Laurel Wagner DSPP Early Career Clinician Scholars Program Scholarship . Donations made to this scholarship fund will enable DSPP to award selected early career clinicians who give a presentation at the Division 39 Spring meeting up to $500 to cover the expenses of attendance.